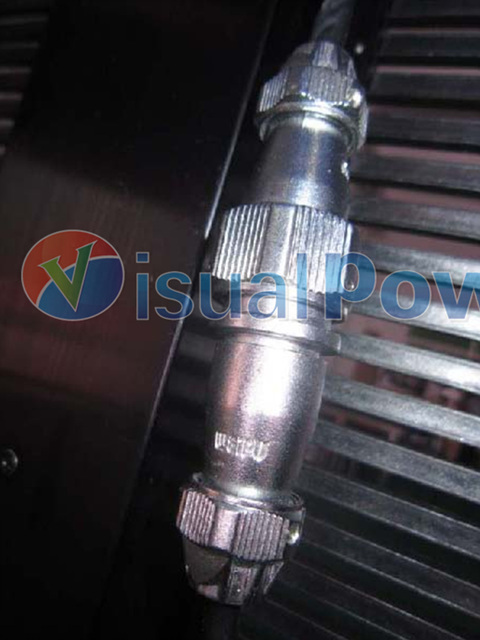 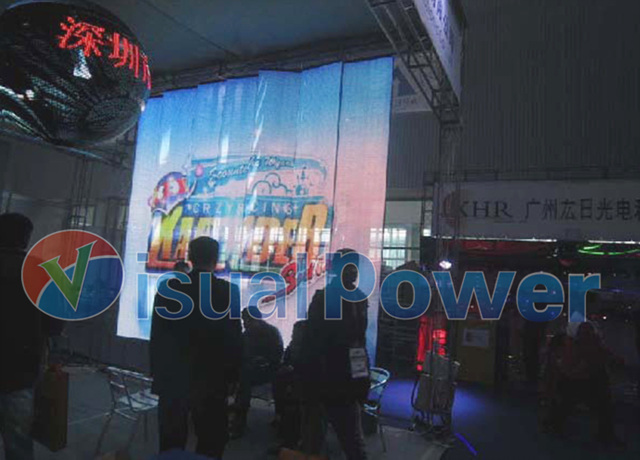 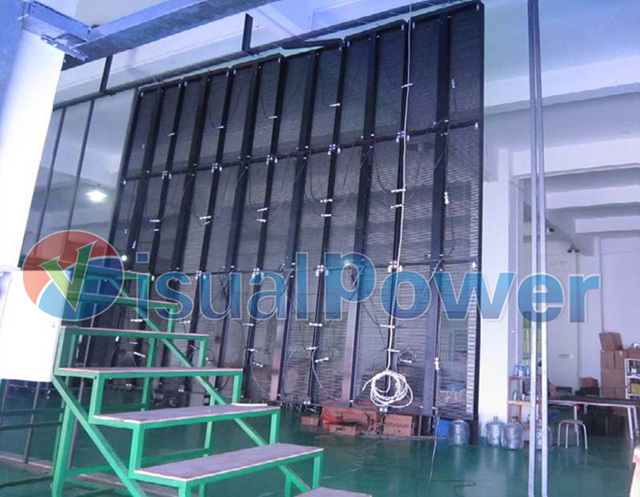 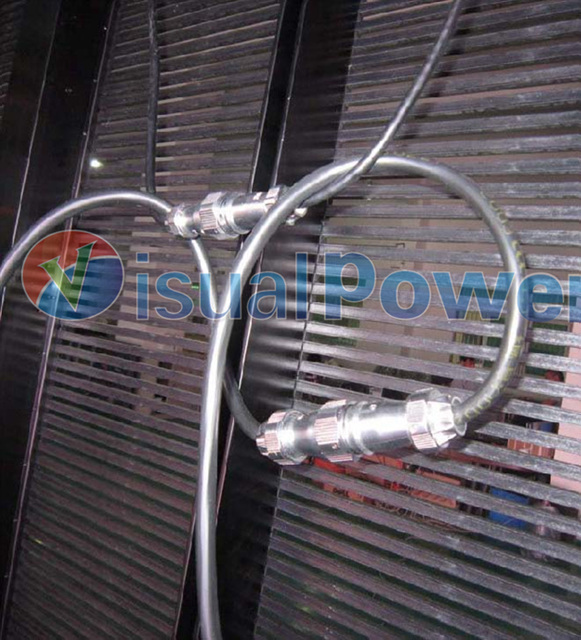 P12.5 (12.5mmpixel pitch) indoor LED strip curtain display is Visualpower’s specially designed indoor LED curtain for stage background. 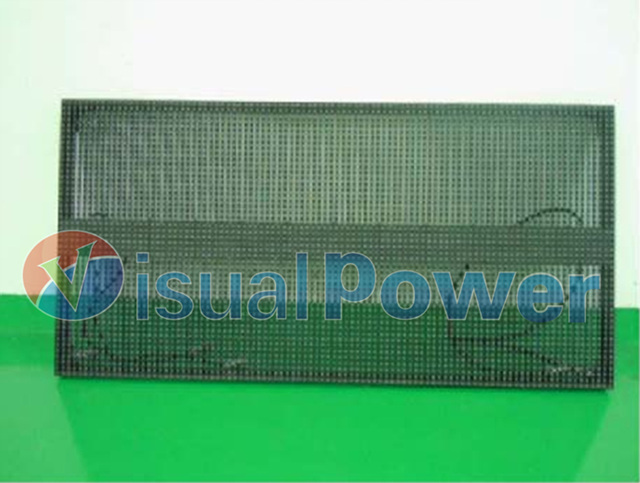 It is ultra slim, light weight and transparent. 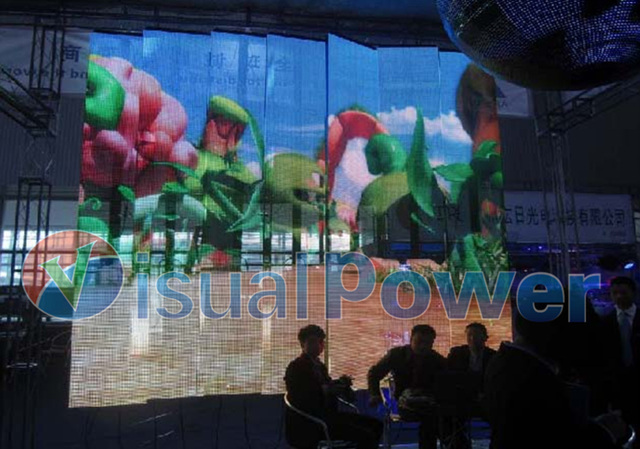 Compared to the flexible LED curtain, such design is commonly used for large area indoor stage background where there are mainly plain surface. 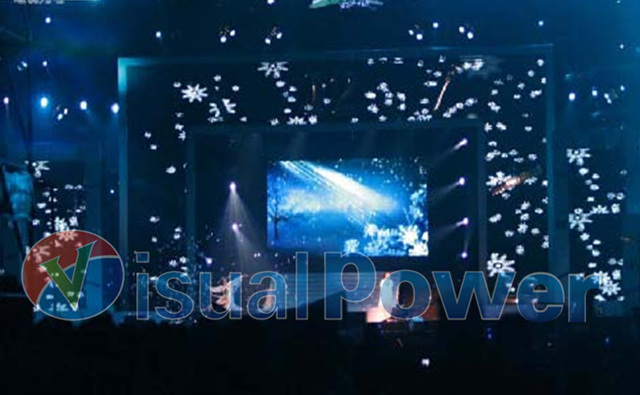 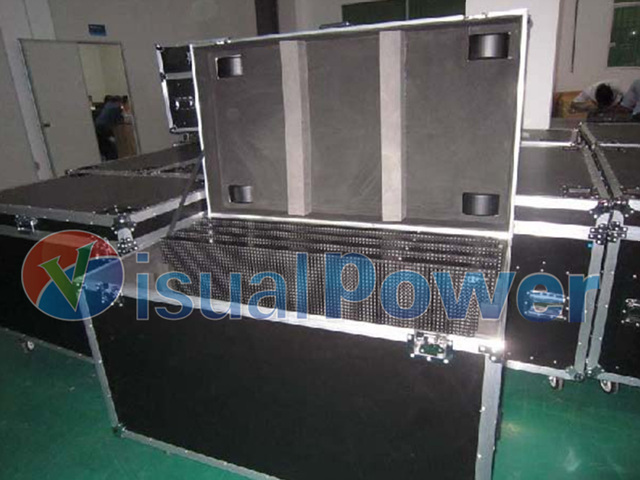 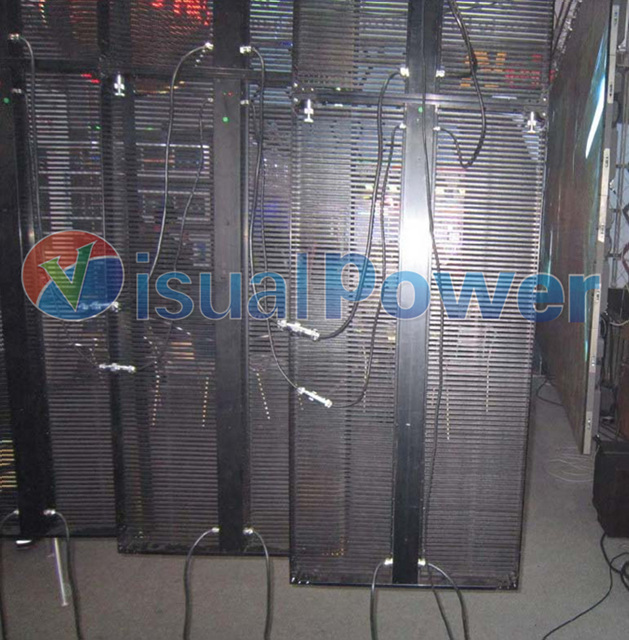 With such solution, the cost can be lower, and can have a stunning stage effect.